Maksigen scalping system is a intraday Breakout system based on Maksigen indicator. Re-entry, if you do no exit position at end of the day, when triggre line turns blue. Re-entry, if you do no exit position at the end of the day, when triggreline turns red. 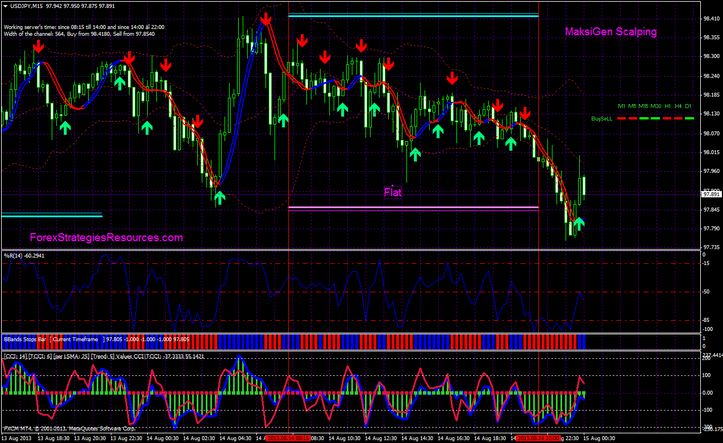 with profit targe predetermined 12-20 pips depends by Currecy pairs. 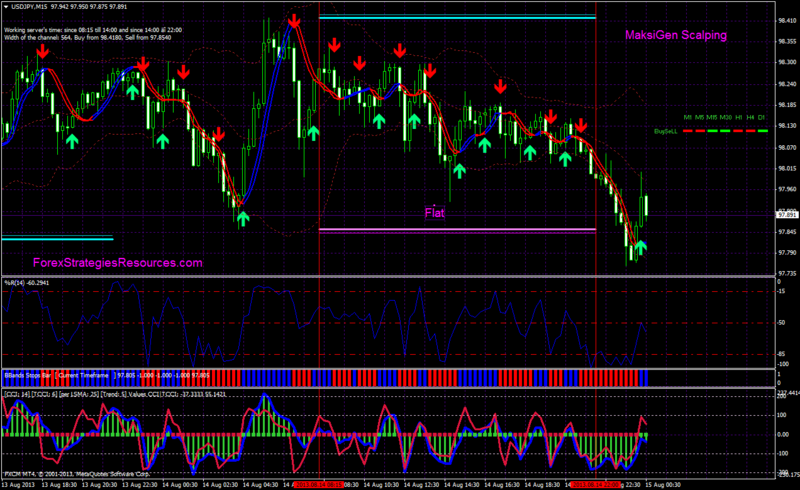 In the pictures below Maksigen Scalping System in action. 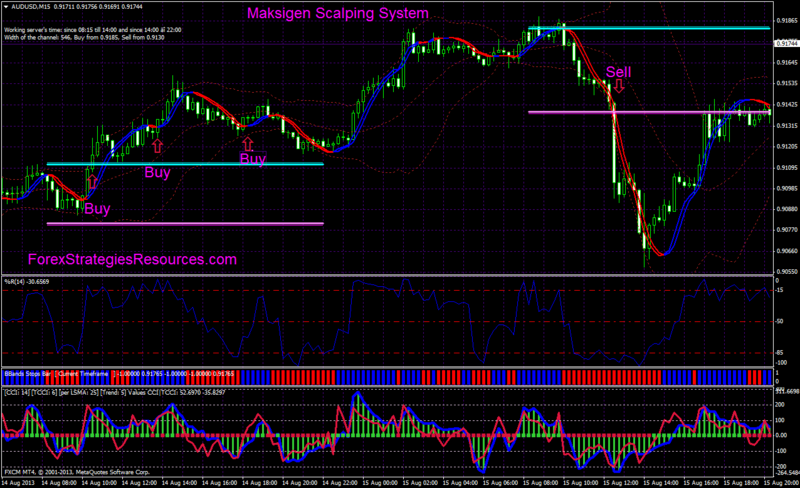 Share your opinion, can help everyone to understand the Maksigen Scalping System.